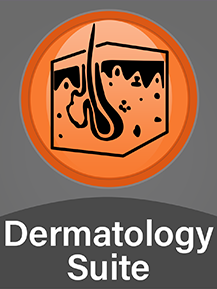 Fitzpatrick's Color Atlas and Synopsis of Clinical Dermatology: Combines over 900 color images with succinct descriptions of skin diseases and systemic diseases with skin manifestations. It is invaluable resource to a non-dermatologist learning or practicing medicine in any field in any country too. Skyscape Rx™: This continually updated tool provides dosing guidelines on thousands of commonly used brand and generic drugs and now includes nearly 400 integrated weight-based drug dosing calculators. Skyscape Clinical Calculator is a great program and it loads fast. I wish epocrates also loaded this fast. I love Skyscape products.